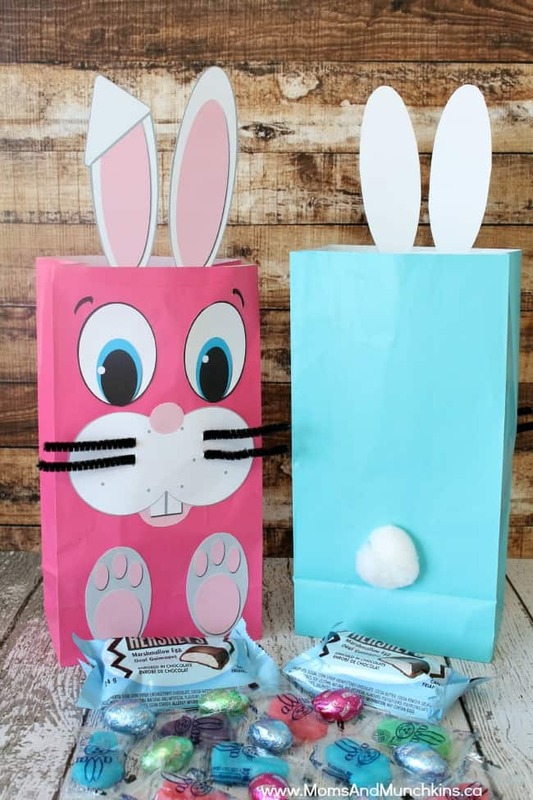 These free printable Easter bunny boxes are a fun idea for holding Easter candies for your kids or even to use in a classroom party. They come in an easy (and free) printable format that you simply cut out and assemble with glue or double-sided tape. The cute ears can be glued inside the box at the front or the back – I made one of each here to show you how they would look. 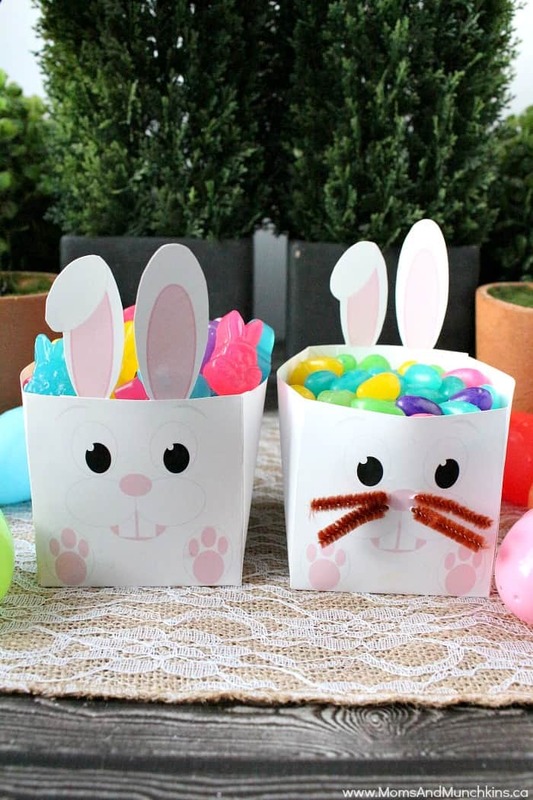 When printing them, I’d recommend using a thick card stock paper so that they are stronger to hold all those Easter treats. 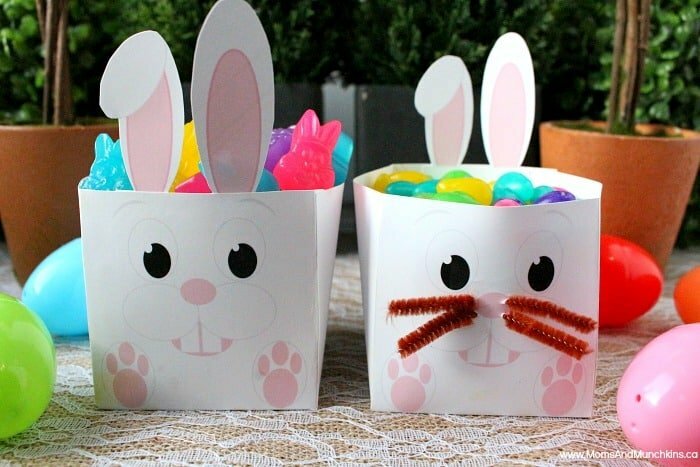 You can dress them up by adding pipe cleaners for whiskers and a cotton ball tail. If you’re adding pipe cleaner whiskers, make sure you space the holes far enough apart from each other so that those two holes don’t tear into one big hole. This printable is available for FREE for our monthly newsletter subscribers! Signing up is free & easy. We have close to 14,000 subscribers that enjoy the special freebies each month! Simply enter your email address, confirm your subscription, and you’ll be directed to a Thank You page with a link to the freebies page along with the secret password. This link and password will also be repeated in each of the monthly newsletters. Already registered but can’t remember the password – send me an email & I’ll help you out! We’d like to send a big THANK YOU to our monthly newsletter printables designer – Wendy of Wendy’s Printable Party. If you’re looking for someone to design printable party supplies for you, be sure to reach out to Wendy! She’s always a pleasure to work with and she’d be happy to design something special for your next party. 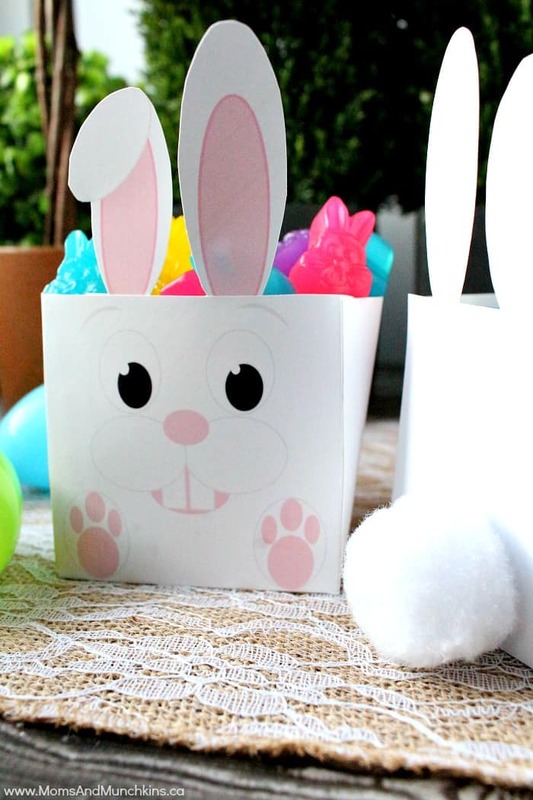 For more Easter ideas like free printables, Easter treats, party ideas and more, visit our Easter page. 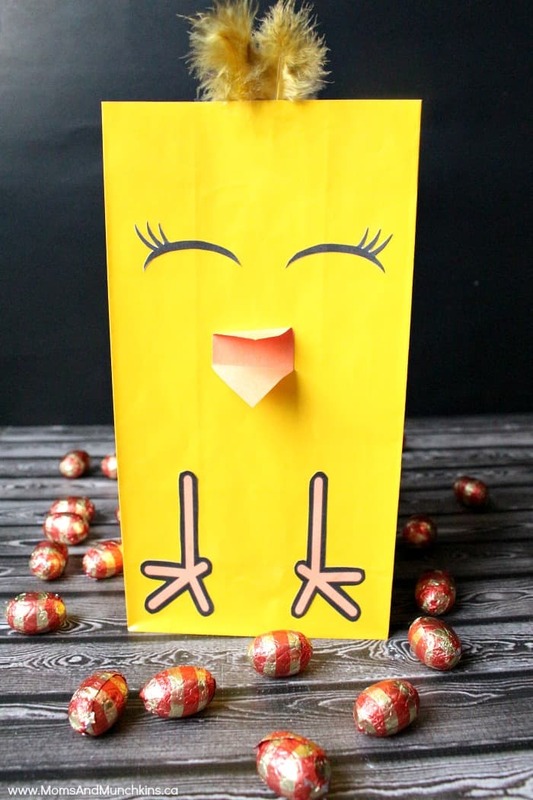 Don’t forget our Easter freebies from previous years – Easter Bunny Bags and Easter Chick Bags! Love the Easter boxes! A cute idea!